When the word “Tally Course” comes in our mind, the way automatically goes to the main built of the word, which is accounting. To be accounts professional, one must know how to work on tally. Tally training in khanna is the way out to gain the complete knowledge, theoretically as well as practically. In Khanna, Micro Wave Computer is the no. 1 for accounting courses like tally training. What is the purpose of Tally course? Tally is just not confined to the world of accounting but is a complete business solution for all types of business enterprises as the name suggests, “Tally Enterprises Resource Planning 9.” Basically this software is used by accounting professionals for an easy accounts maintenance which can be done online as well. The software of Tally ERP9 is multi-functional being used for not only managing accounts but also for managing all the billing of sale and purchase, inventory, warehouse, payroll system, Taxation including GST. What is accounting? Can it be a practical career choice? 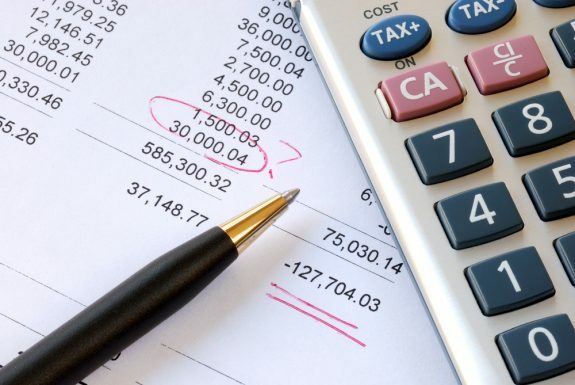 Accounting is one of the most common work profiles, but also the most misunderstood of them. It might sound pretty basic, but involves the handling of complex financial figures. The recording, reporting and systematic analysis of a business’ financial transactions The production of financial records and statements The ability to select relevant financial data and discard what is not required Learning about the financial stability of a company, its profitability, liquidity and wealth. Without accounting, an organization would just collapse, because major and minor, daily and long-term decisions depend on it. Budgets for long-term investments, marketing activities, R&D, profit reinvestment and even company growth, depend on the work of accountants. It will make your work easy, understandable and will also save you precious time that generally tends to get wasted in drawing reports. Since Tally is a key skill that employers look for, having this skill on your resume will automatically get you more preference in the job search process. Using Tally accounting software will reduce the number of errors you will make while accounting entries and calculations. Tally modules such as Payroll, Inventory, Multi Currency, Taxation, Interest Calculation etc will be significantly helpful in your day to day job as an accountant. Knowledge and love of numbers, since this is going to be a part and parcel of an accountant’s life. Every work, whether posting journal entries or putting together a balance sheet will require this. Basic knowledge of computers and sufficient computer skills An analytical mind that will help you put everything together, creating a sense of order from the chaos and basically pick up any discrepancies that may mar an otherwise perfectly healthy finance report. An attention to detail. Pulling together thousands of figures to create income statements and balance sheets can be a tedious job, and an accountant is the only one who can compile everything, decide what is to be used and discard anything that is irrelevant. Finally, good communication is also important. It is only an accountant who can give words to facts and figures seen on a balance sheet, and can communicate with different employees to gain data or disperse it. Once you’ve become an Accountant, you can even decide to further your career, by becoming a Chartered Accountant or a CA, for which there are specialized courses and exams with authorized Tally training centers. You can either stay as an accountant your entire career, or you could choose to diversify into other areas such as Investment Banking, Due Diligence, Equity Research, Strategy etc. Dedicated accounting firms such as Deloitte, Ernst & Young, PWC etc Companies that have accounting departments such as Tata, Reliance, Airtel etc . A junior accountant can earn anywhere between Rs. 1.2 – Rs. 3.6 lakhs per year depending on your experience and the kind of company. If you are a CA, you could earn much higher. Months back a few CA students, started at Rs.9 lacs in a leading IT firm.